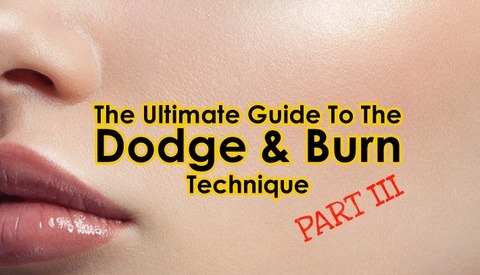 Anyone who is interested in portrait, fashion or/and beauty retouching knows how wonderful the Dodge & Burn technique is for skin retouching. 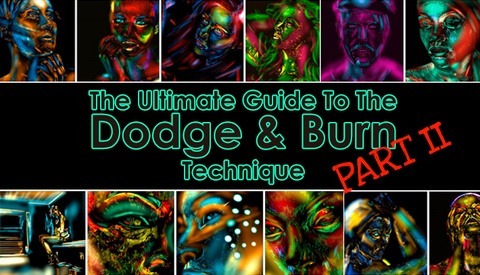 We have talked about various methods and the fundamental knowledge of light and shadow rendering in 2-dimensional art before, and I would like to offer you yet another important piece of the D&B puzzle - the brush settings in Photoshop, which will help you achieve greater results when using this technique. It is next to impossible to find an artist who works in Photoshop, but isn't familiar with simple Photoshop brushes, and I am sure you know them very well. But do you really understand what combinations of brush settings will help you to Dodge & Burn better? I personally had been working with the same settings for many years, until I decided to challenge myself after being inspired by a few conversations with fellow artists. I knew the difference between brush Opacity and Flow, and I thought I knew what was convenient for me, but I was quick to change my mind after actively forcing myself to work with completely different settings. Recently, my Retouching Academy developers team and I updated our Beauty Retouch Photoshop panel and added new brush presets specifically for Dodge & Burn work. I recorded a video about these new brushes for the RA panels' users, but I quickly realized that this video can be just as helpful for anyone who uses the Dodge & Burn technique in their retouching. I'm also happy to share the D&B practice file along with our D&B brush presets. Simply register at https://www.retouchingacademylab.com and find the download links at the bottom of the Member's Area. 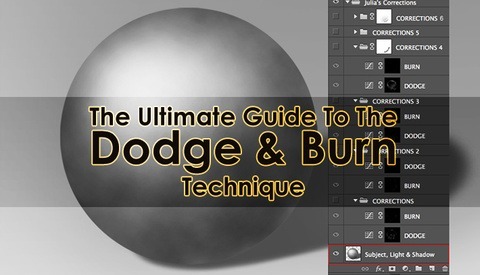 You can see how I use this practice file in the video below. Salvador Dali said, "Don't be afraid of perfection - you'll never reach it," and Vince Lombardi said, "Perfection is not attainable, but if we chase perfection we can catch excellence." So, practice like you mean it! If you would like to learn more about Beauty photography and retouching with me in person, come join us at the Fstoppers workshops at the Bahamas this May. I will be teaching two 2-day workshops - shooting and retouching - on the 13-14th and the 16-17th of May. We will begin with an overview of the entire process of planning, organizing and executing a Beauty photo shoot with a creative team, regardless of whether it is your personal project or a commercial assignment. After that we'll spend some time learning how to set up the lights, so that you can be confident with the lighting you can achieve and the images you can deliver after you are back in your studio on your own. We will take turns shooting and working with models, and I will be right there behind your shoulder, peeking at your camera monitor, listening to what directions you give to the models and watching how you hold your camera. I will comment and help you adjust and perfect all of these areas. At the end of the day I will ask you to select a handful of the images that you think are the strongest from the shoot that same night before you go to bed. We will retouch our images the next day and I will again peek into every student's screen to share my thoughts on the images they have selected and explain why I think they are strong, or not so strong, and what can be done with them in post-production to make them outstanding. My mission is to walk you through the entire process of creation of a beauty image, teach you to set up beautiful lighting and work with your creative team, as well as drive your attention to the areas where things can go wrong, so you don't allow them when the time comes for you to organize your own shoots. Check out the details of my Beauty Studio Photography & Retouching workshops here, and join the big group of obsessed artists from all over the world at the Bahamas in May! has anyone have problem with wacom? for the lates mac os? yosemite? Henry, I only have the same problem as before every now and then (still can't catch what triggers it though) - my stylus catches on things (tools and panels) and drags them even after I lifted the pen from the tablet. But that's been happening randomly for a while, not only with Yosemite. yups.. it happened to me too.. and sometime its like write by it self.. btw i use wacom intuos 4 medium with cable.. I would be more than happy to switch to Linux if Adobe create an installer for it. Though check your tablet wireless adapter, sometimes it get loose. The lag is from the connection between your tablet and the PC port, let me check back on my documents, I did a test before on my port connection for connectivity quality. I'm using a cable tablet, maybe USB3 will solve the issue, but i'd rather have them available for the hard drives and other memory things. I just buy PC because of the price performance ratio. 800€ packed an 8 core processor at 4GHz and 32GB of DDR3 1866. This is a driver issue for Windows, that people are having an hard time to get rid off. Windows Ink?? What is that? I'm embarking on a new PC build and was contemplating using Windows 8 for longterm compatibility - any stability reasons or otherwise why I shouldn't? Have no fear, although I'm still not in love with the new GUI of win8 but it's stable and haven't face any problems, it's how you install the Os along with the apps you need, I try my best not to install anything else I'm not in need. Once I installed win8 with my apps, I did an image backup of my drive, so I don't have to do the same process again if anything happens. Windows Ink is an option on the Wacom software to allow the system controls on the tablet, like right clicking and so on. When it is disabled the lag disapears. Windows 8 is great, stable as a rock and allways fast. My system has been up and running for the past year with no problems. Looking foward for Windows 10. I disabled Windows Ink for all applications in Windows 8 and the problem is gone. Kind of ironic that from this post i went on fixing the tablet. Anyway, either it is Mac or Windows PC or Linux PC, they all have problems. You've had From Amateur to Pro in a Week as coming soon for quite a while, approximately two years or so now. When will this be released? Eric, yes, I have been traveling too much, but this year I'll get it out. I'm glad it has been delayed though, I am better at retouching as well as explaining what I am doing now compared to two years ago, so this will be really helpful. Thanks Julia. This bits of information, even if they are not the full thing, makes people learn and do better photography. I am the kind of person that watches all these videos, the information is free and is unvaluable. I'm missing something with dodge and burn and specially when it comes to contouring. I have bought Michael W. retouching course and it was a great tool. Will you be doing something like it with RGG EDU?! I believe that a great tutorial or course on makeup decisions and your approach on retouching would be a must get. Thank you Paulo! We actually have already filmed the photography course Go Pro: Studio Beauty, and I will be finishing Amateur to Pro retouching course with Retouching Academy this spring. Julia, that was a very insightful video! I use the RA Panel, it is a very helpful toolkit. I have struggled with pen & pressure settings in the past, and wish I had it explained to me the way you had in this video. Great work, as always! Always appreciate these "building blocks" of essential info. Your work is meticulously stellar, Julia. I have learned a lot from your videos as well as Michael W's.